By the grace of God, FOB gave 8 alternative Christmas gifts. 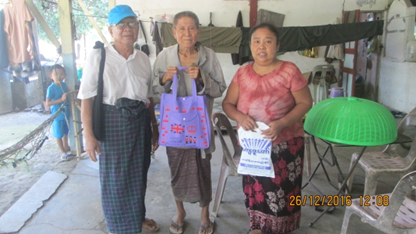 We appointed five people in Burma to choose someone to receive those gifts and here is one of the reports. Saw Gaw Say lives in Tha Bye Kyine village, which was affected by Nargis Cyclone in 2008. He has skills in carpentry and fishing. He has five children, the elder two daughters are staying with their relatives as domestic workers. The younger 3 are attending the school at Primary school at their village. He had made a good income by his daily fishing and carpenter work in the summer time. His wife has also done well preparing dry fish and prawns. Moreover, he also was able to make a house for his family by himself. In June 2016, he suffered a serious disease and was hospitalized for a month. His wife was the main caregiver to the family. She also became sick, which lasted for about two weeks. 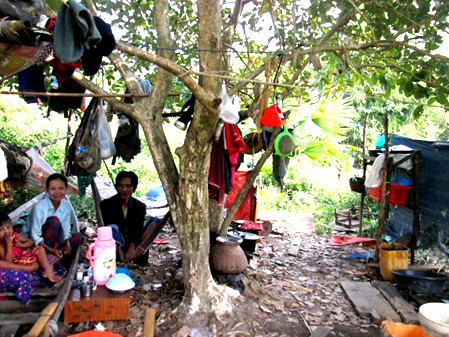 Because of their illness, they could not survive without taking loans from a money lender. The interest rate of the loan was 10% per month. While both were sick in their beds, they had to use their money received through the loan. During the six-month period, they were unable to pay back their loan, and the interest rate became higher. Finally, the money lender came to their house and took all the parts of the house from the roof to the foundation. 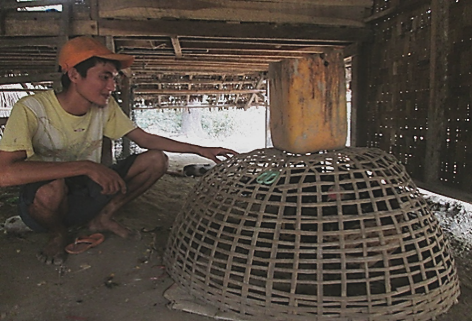 They were left with few materials for daily use, with no shelter. They had to live under the tree and use an old boat to keep their few things that have left. Under the tree was also their dining area. During the daytime, tree shade is their home and at night they sleep in their neighbor’s house. They have been staying that way for almost two months. When visited, he shared his plan of building a new house before the rainy season for his family. He started saving money for his house but still needed more. So, I added some amount of money through the Christmas gift from FOB. That day was December 25th, Christmas day. His family members were very happy, especially his children, because this meant they would get a new home soon. I was so happy and smiled with them too. I do believe that donors from FOB will gain happiness like this family for having a chance to give such a valuable gift on Christmas day to the poor and to those who really need it. In Yangon, we have Christian, Buddhist and Muslim Cemeteries. These places are close to each other. For our Karen Christian Cemetery, we have two, the old one is called Yay Way and the new one is Tain Bin. Now people are going only to the new one, but the old one is still visited by some people. So we have appointed responsible people to take care of it. These people live with their family in each related cemetery. Every year, our association goes to our two cemeteries for worship service during Christmas time. During the Christmas program, Christmas gifts are given by some people to those who are serving at the cemetery. So for this year when some of the staff went there during Christmas time, I sent Christmas presents with them to the families who are living at all cemeteries. As my husband was buried on 24th December 2012, Christmas Eve, I had to go to cemetery during Christmas at this time. However, now when nobody wants to go and celebrate Christmas with these people, some of our staff and friends went there. I added some amount of money and also a contribution from Friends of Burma Christmas gift and gave them as a Christmas present among the people at the cemetery. They are so happy and thankful to all people who give them present on Christmas. It’s also making me happy, and I do believe that Friends of Burma members will enjoy for helping in this way. In review this program started back in 2004 with only 20 students. Currently, we have an average of 20 students per class at our 2 tutoring classes. In all of Myanmar about 30% pass the matriculation examination in an average every year. Since we opened this program, all of our students have passed this examination with the minimum of 60 % and the maximum of 81.48% every year. In the 2015-16 academic year, Naw Htar Htoo Paw passed the matriculation with six distinctions (All D). Last year Saw Win Htut Aye passed with five distinctions, and he is attending the MBBS second year course now. Naw Htar Htoo Paw also attends first year MBBS course. Saw Htay Aung, who is now a dental surgeon has passed matriculation from this program. Within ten years 197 students matriculated and 54 students passed with distinctions. As our two buildings are too small for lodging and class room, we are in need of another building and hostels. Chit Myit Tar Orphanage Care Shelter wished for a new kitchen and sent FOB their wish list. In 2016, by God’s grace they could build a new kitchen for their shelter. Khun Thoe Yu, care director from the shelter said “Our dream has come true, we have dreamt for a new kitchen for more than five years. To all of you kind FOB donors, now our orphanage care students can eat things in a new building, and the supervisors can cook in a more efficient building. 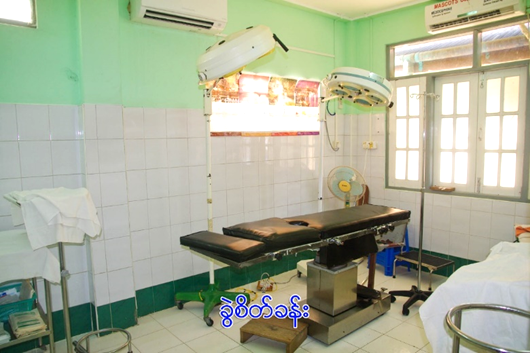 By the grace of God our Pathein Myaungmya Sgaw Kayin Baptist Association Matthew 25 Love Clinic has existed more than 20 years and has been beneficial to all patients regardless of race and religion. For the pastors and those who cannot afford the medical expenses it is free of charge (FOC). We applied to the government to promote our clinic to the hospital level, and one of the requirements is to have ample space for operations. Our present operation theatre is small and does not meet the requirement standard. We intend to build a new building which will include theatre office, etc. May I request the FOB to financially support the construction of this building? 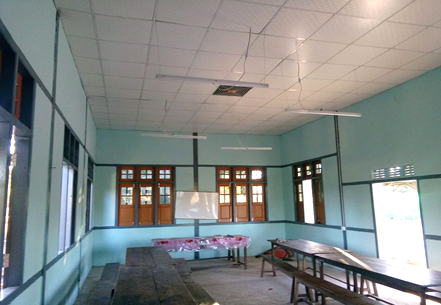 Pathein Myaungmya Sgaw Kayin Baptist Association has launched our Myo mission work among the Myo People in Rakine State since 1989 and in 2008 the Myo can establish Myo Baptist Association under the umbrella of Karen Baptist Convention. 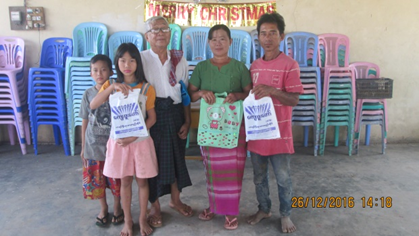 In 2008 also, the Myo Association opened the Myo Bible School in Sittwe, Rakhine State. At present, the Myo association had 20 churches, 20 mission fields and about 4000 baptized members. 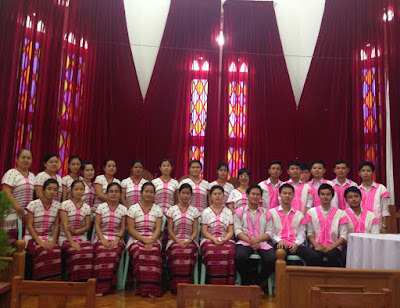 More than 40 Myo students graduated from Bible Schools and universities. Kyaw Myat has started translating the Bible in the Myo Language and has not finished yet. Some Myo children and young people are still coming to PMSKBA to pursue education. Two Myo students graduated at Pathein University and attended M.Div (Master of Divinity) course at Ko Tha Byu Theological Seminary, Pathein. Another Myo will join M.Div course at KTS next year once he graduates from Pathein University. Maung Nge, another Myo has passed his matriculation at Pathein, and he is now attending his final year at Pathein University. Ten Myo students have now come to study at Kaw Lei Lu village, Laputta area, but two of them went back to their respective village. Another two Myo young people came and lived at TaGuSeik village and attended school there. Maung Maung San another young Myo, graduated from Pathein University, and with the arrangement of Rev.Dr. Honor Nyo attended Bible Institute at Singapore and received his diploma degree, and he is now teaching at Myo Bible School at Sittwe, Rakine State. 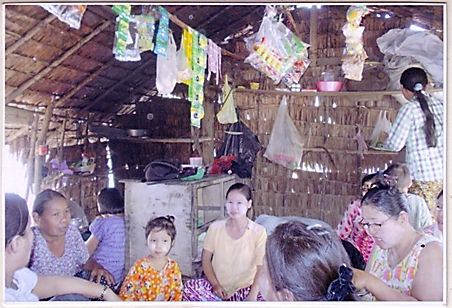 Due to economic hardship and poverty, many Myo families had to migrate to other places. About (30) families of Myo People are settled near the Thai border, and they live there as a Myo Christian community, built a church and have their own pastor. We started our group on May 7th and we have 8 female and 1 male member in the group. We live in Shwe Bon Hsu village, Bago Division. We have decided to save money twice in a year because we don’t have a regular monthly income. So we save 6000 kyats for 6 months for each member. We have received 300,000 Kyats from FOB and we add that with the group saving money. We all agree that loan service charges will be 3% per month. We started with an initial pay loan of, 40000 Kyats for each and within 2 years the loan to members is to increase to 110,000 Kyats for each. Apart from the primary benefits of each member, we have a purpose to help the needy and the sick people through providing financial support from the benefit of the members. Our group has divided the group collected money as reasonable personage into loan amount to members, contribution for helping people, honorarium to group leader and meeting expenses. From May 2014 to 2016 May, we got a total amount of revolving fund is more than 1,000,000 Ks. I am a mother of 2 children who are attending middle school and my husband is a farmer. We don’t have much paddy field and I have to work my own ways for my family needs. I have a mini grocery shop at home but it did not give me enough profit to support our needs, after I received a loan from the group, I could invest more to my grocery shop to gain more profit. 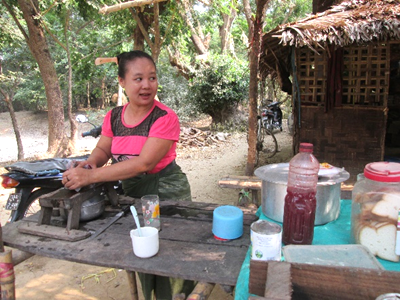 As the first loan started from 43,000 kyats I could add only a few things to my grocery stock, but after the loan amount increased, I could add more things to the grocery and also open a shop of ice-lollies, ice-scrape and juice (from local food). As the income from our paddy field has only a one time in a year income, the grocery and ice shop provide us enough profit for my family needs and especially for my two kids. I could give back my service charges of the loan regularly and received more loans from my group. I’ve enjoyed my 2 shops and I do believe that one day I can rebuild my house which will be better than our present house. I am a widow and although I have children, they are grown and are staying with their own families and live a little far from my house. My children support me sometimes but it’s not enough for me. I don’t want to ask them for my need because they are also struggling for their family. 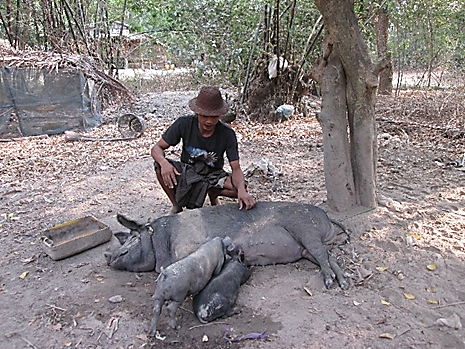 After I become a member of Lily group, I took a first loan of 43,000 kyats .First, I bought a pregnant sow and I fed her with my other saved money. After 3 months, I got 15 piglets from the sow! After 1.5-2 month of piglets I could sell them each at a cost of 40,000-50,000 kyats. Now I can sell the second group of piglets. From the income of selling piglets, I can save some for my new house, food for pigs and other things which I have to use. Sometime my son in-law and my daughter visit me and help me when I need them. I thank FOB for encouraging us through this micro finance group. From this activity, I have not only received financial support but also psychological empowerment in my old age. I am the only male member in micro credit group. I have 5 family members, myself, my wife and my 3 children who are attending middle and high school. Usually people used to tell me that I love to work and that I’m always thinking about work. My main business is buying and selling rural products from village to city. My products are depended on the weather and the season. Buying eels, fish, chicken and ducks from the villagers and selling them with a profit to the city. Sometimes I buy eggs from house to house then after collecting it all, I carry them to sell in urban places. Sometimes I do not have enough money to buy products so I lose profit from it. After I joined the micro credit group, I received more capital to buy more products. So I gained more profit and could save more money. I also have an old motorcycle I use to carry my goods and sometimes I use it for carrying passengers for more income. But it is in disorder often and it will be dangerous for me. So I have decided to buy a new one and I have started to save the money to buy the new bicycle. Now I will save money to buy the new motorcycle and at the same time I could provide some needs for my family members. A brief history of our project, back in the 80’s, many children were left homeless and parentless due to the civil war that was ongoing in the country. 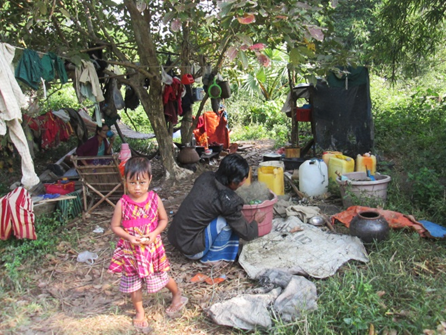 The children of the Kayah State, especially those in the border areas were most affected. Their relatives could not take care of them so they came to Rev. Richard Thawt, the Pastor of the Loikaw Baptist Church, and asked for help. The Reverend conferred this matter with the church elders and committee members and, as a result, a decision was made to establish the project. We are continuing the good work which the late Reverend had left us in helping the orphans and, of course with much help from donors like you. We deposit all the donations we receive in the bank and use only the interest that is gained annually from it to support the children with their livelihood and education. Our goal is to provide the orphans with the basic education as well as higher education if they pass the matric exam. So far, only two orphans have passed the matric exam and joined the university. One has graduated from Loikaw University, specializing in Chemistry. She´s already working and can stand on her own feet now. Many thanks to the donors. Another one is still pursuing her education, specializing in Physics. Many children who arrive at the orphanage lack the basic education which they should have acquired in their previous grades. As a result, they find it hard to pass the matric exam, and as a result, they quickly lose hope after two or three attempts and don´t want to continue their studies anymore. For those kind of children, we help them attend a vocational training course that they find interesting. We support them until they can earn their living and, when they are old enough to get married, we support them as much as we can. Some who have left the orphanage always keep in touch with their mother church and visit us when they have the time. They come back and admonish their younger brothers and sisters to work hard in their studies. The results of the previous academic year are due to be out on the 23rd of this month. The committee is doing its best to bring up the children physically, mentally and spiritually. Please remember us and the children in your prayers. We´re very thankful to God for such kind and generous donors like you who are interested and sympathetic enough to help the poor children. May God grant you and your family manifold blessings as you continue to serve Him through the Agape Orphanage Project. This women group has organized in November first week of 2016.The group has 20 members and all of them are from the village of Htee Moo Lu in Delta area which is also one of the Cyclone affected villages. This group regularly meets every month of last week of Friday at 7 PM. At this meeting the members come and collect the saving money and also loan interest. During the meeting they also have chance to discuss and sharing about their future business among the members. Though they get small amount for loan they add with their own capital and run their own business. I would like to send reports on some members who are running their small business by their own ways at their village. She has 4 family members and her children are students. They don’t have their own paddy field and her husband works as a daily wager in the village. She has raised few chicken and pig. She also has small grocery at her house and sometimes she also sells vegetables with grocery. From the loan she could invest her grocery to get more profit. She is single and she has 4 siblings. Her father is carpenter and her 3 siblings are working as helpers at a small restaurant at a city. She is only one who stays with her parents at home and takes care of her parents. As she is still young she wants to make income while she is helping her parents at home. 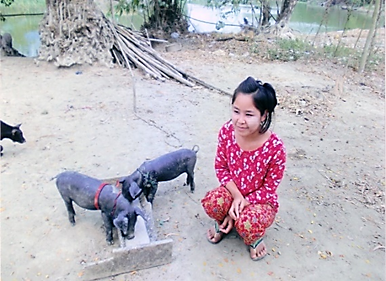 She takes loan from the group and buys 2 piglets and raises it. She has just started her business but has a good plan for her future small business. FOB gave the book, “Where There Is No Doctor” to the graduates of four schools that train Village Health Workers. Several years ago we translated and printed 2,000 books of “Where There Is No Dentist”. We are now having ten schools and several doctors evaluate two books, “Where There Is No Psychiatrist” and “Where There Is No Child Psychiatrist” to see if they should be translated, printed and distributed. Burma, like all places, have mental illness particularly depression, alcohol addiction, drug addiction, and anxiety. If our panel decides the books are useful enough to translate, the cost is $6 per page. Total cost of the project including printing books is estimated to be $15,000. This newsletter was compiled by Saw Htaw Htoo, May Thet and Neil & Diana Sowards.